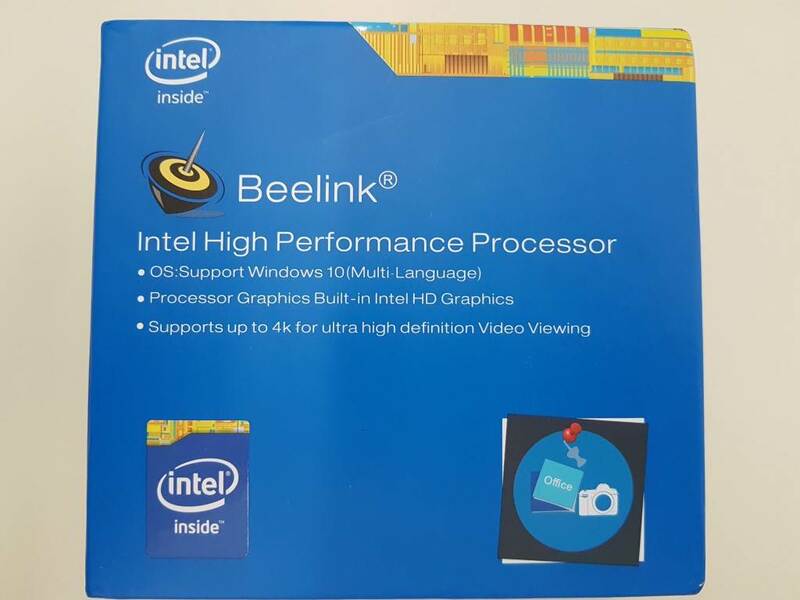 Beelink M1 arrived in a relatively small box, in blue colors similar to Intel’s logos, that manages to fit the mini PC itself, a VESA mount (screws included) , 2x HDMI cables (one very small in case you use the VESA mount and have the M1 at the back of the screen), the wall type power adapter and basic documentation. No Keyboard/mouse combo is included so you will have to buy one yourself. 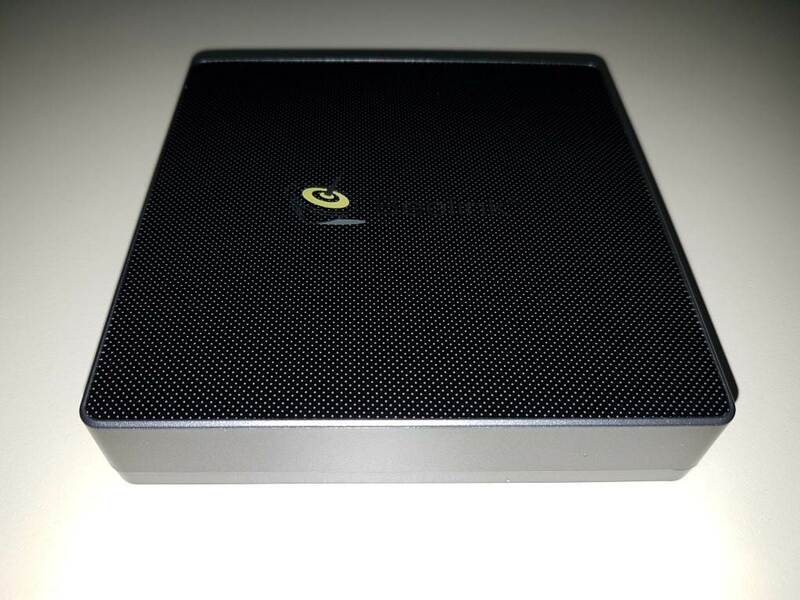 Beelink M1 has the all-time classic media box look although it is way more elegant due to the aluminum housing and black skin on top. It is alsp very small in size (120x120mm) and lightweight. 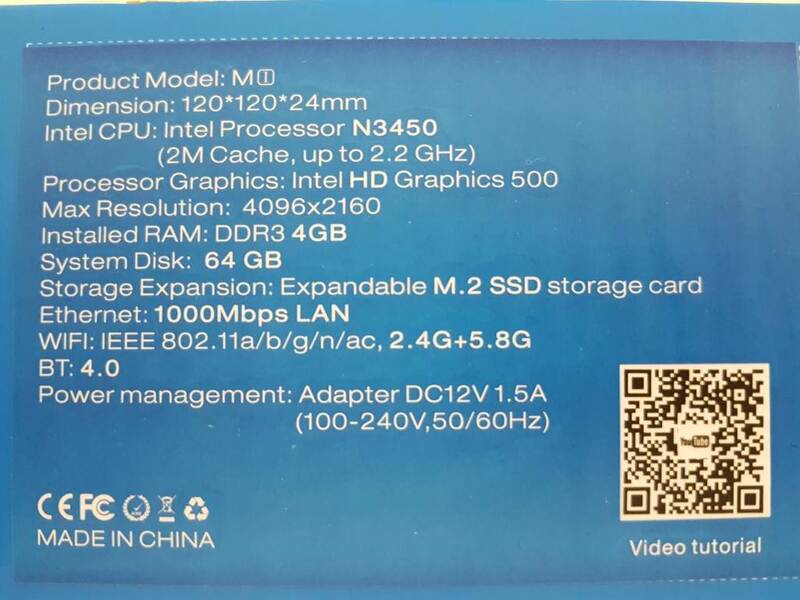 Specifications are boosted compared to previous (Atom Z8350) Intel CPU series. The N3450 CPU is part of Intel’s Apollo Lake mobile lineup. Celeron N3450 is a quad core, 14nm, 6Watt TDP, 1.1-2.2GHz Gen9 SoC that includes HD500 iGPU that now supports DirectX 12 and HEVC/H265/10bit hardware acceleration. 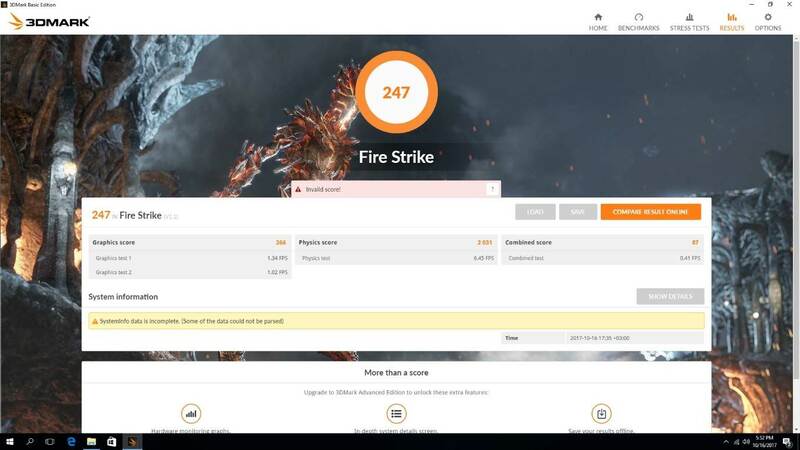 4K monitor out is also supported. Very good news for the new, 4K UHD era. HD Audio pass-through is also available (up to DTS in previous generations), so now users can have a more than decent mini-HTPC in their living room. 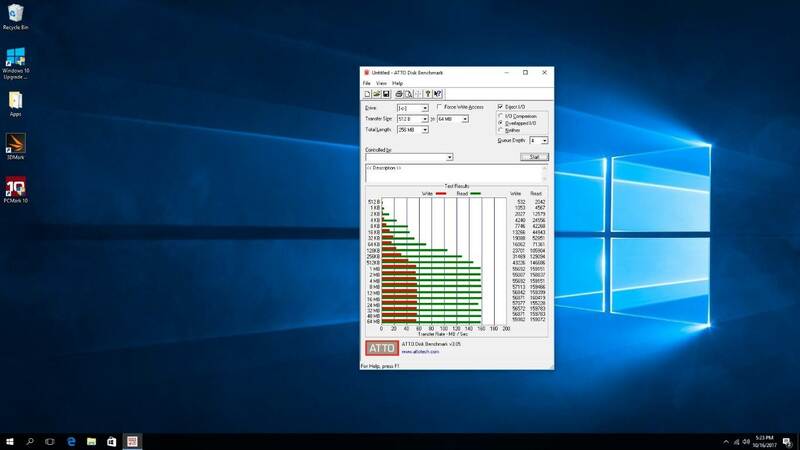 The non-upgraded, pre-installed 4GB of DDR3 RAM (there is a 8GB RAM model as well) will ensure lag free operation for all major applications and enhance multi-tasking. Internal ROM is a 64GB eMMC flash. I/Os are rich with 3x USB3.0, 1x SD, 1x HDMI (1.4), 1x VGA and 1x Headphone ports. 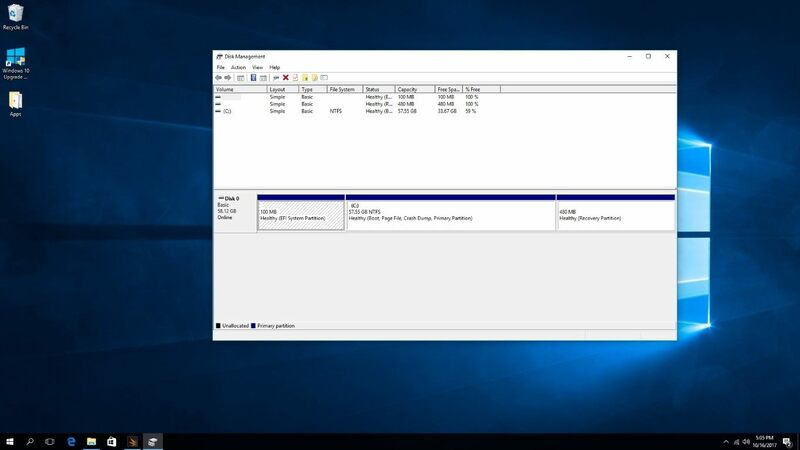 You can add an M2 Sata drive if you open the main unit. There are no instructions on how to do so however. Networking is solid with Dual band Wi-Fi, Gigabit LAN and Bluetooth4.0. 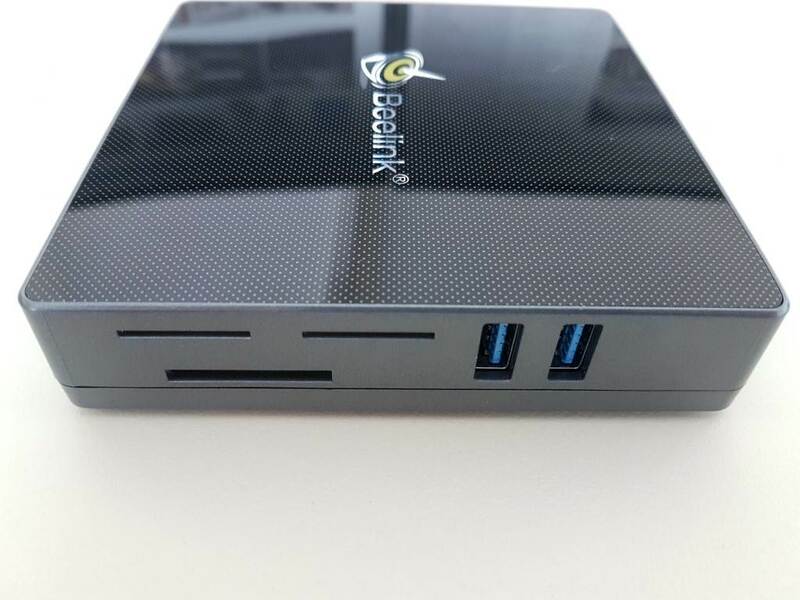 Beelink M1 is a fan-less solutions so it is ideal for mini HTPC setups and quite environments. 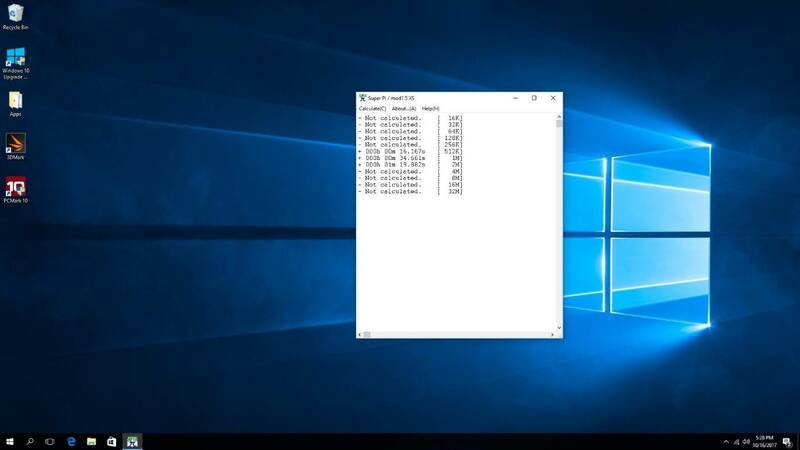 The device has pre-installed licensed Windows Home 10 as the main operating system. 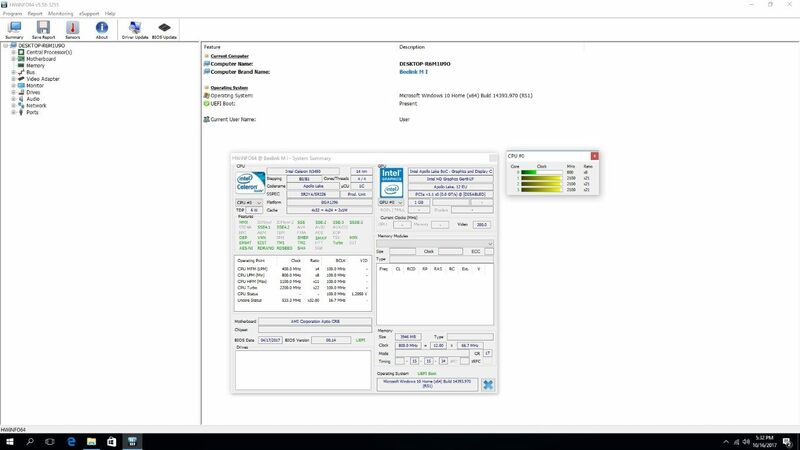 Intel Celeron N3450 outperformed previous gen’s Intel Z8350 by almost 50%. That is a great performance considering they have similar clock frequency. That was also reflected in real life performance by providing a very pleasant user experience while performing all basic tasks. Audio and video playback was now better than ever, with HD Audio pass-through (including ATMOS, DTS X) and 4K HEVC video acceleration. We tested many such video clips that showed flawless playback. For better results don’t forget to switch the screen’s refresh rate to 23Hz for movies and adjust it accordingly based on your material. 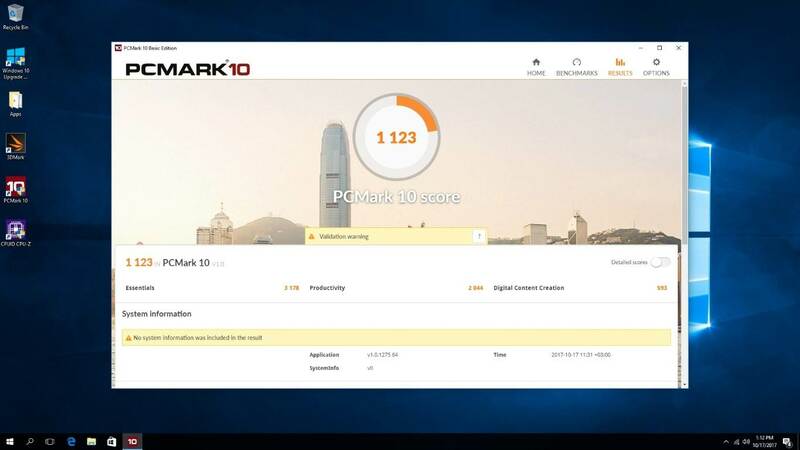 PC Mark and 3D Mark scores were of course higher than Intel’s Z8350 but considerably lower compared to the desktop Apollo Lake J3455 based ACEPC AK1. 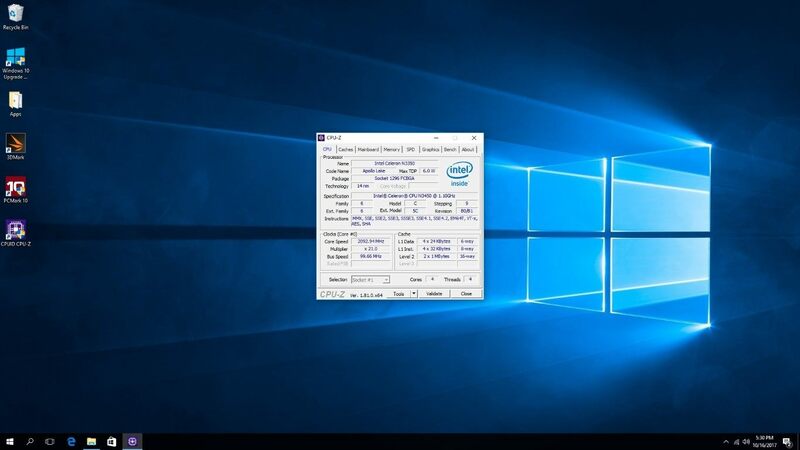 Since we have to deal with the same architecture and with only 100-200MHz clock differences, we can only assume that there is some minor throttling when performing very demanding tasks. This does not affect basic operations like casual desktop use (office, Browsing the web, Spotify, You-Tube etc. ), only constant cpu intensive tasks like rendering, 3D games etc. Cases that Beelink M1 was not design to handle anyway by being a fan-less solution . Internal flash ROM showed high read speeds (>150Mb/Sec) but average write ones (averaging 55Mb/Sec). Lower read speed but higher write ones compared to ACEPC AK1. Network performance was up to par with a maxed out Gigabit LAN and great wireless performance that allowed streaming of FullHD material. Just make sure your access point can provide Dual Band protocol and a good signal to M1’s position. 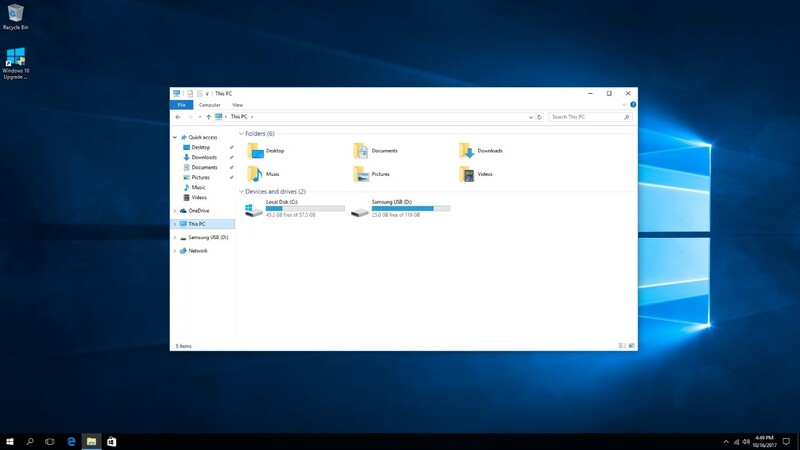 After the first boot, you will find 45GB of free space. 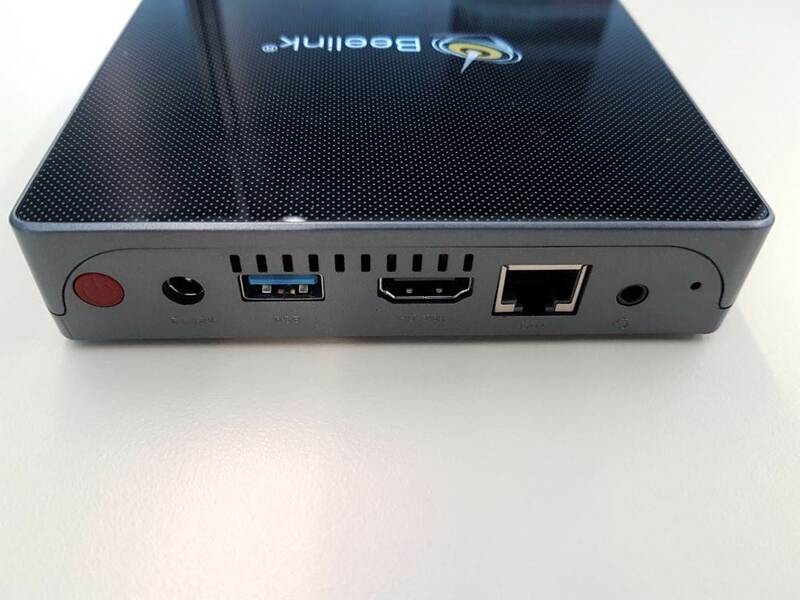 Beelink M1 is a worthy alternative to ACEPC AK1. 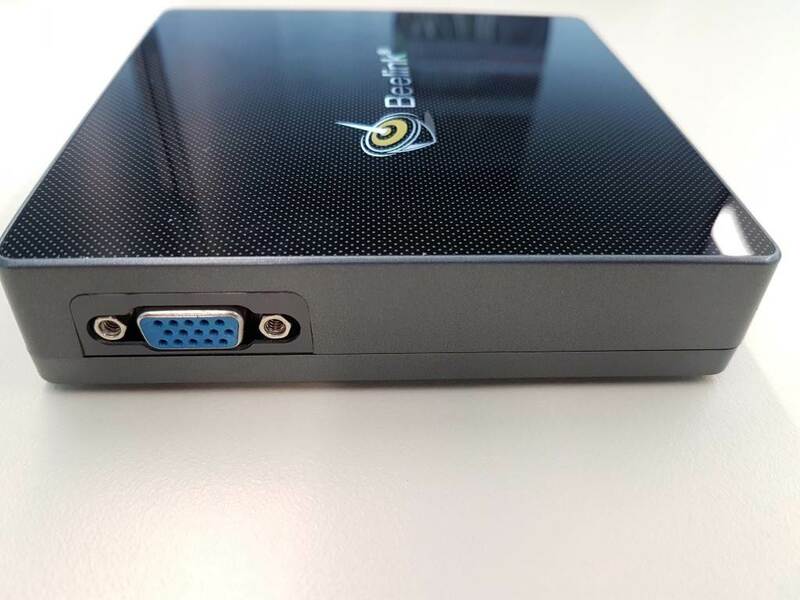 It has all its benefits (Apollo Lake, 4GB RAM, 4K decoding, HD Audio, improved performance compared to last year’s lineup) while adding a fan-less aluminum housing , a bigger eMMC flash ROM and a legacy VGA port. 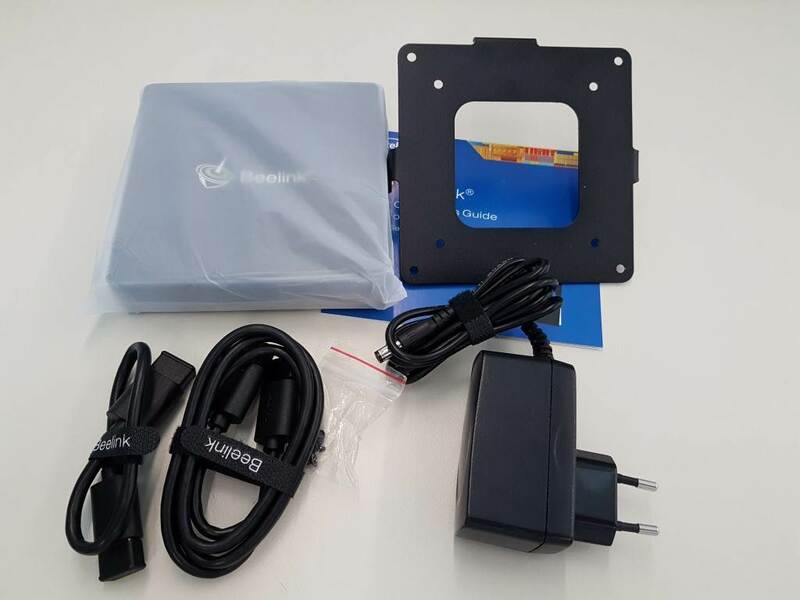 For HTPC enthusiasts (on a budget) it is a great low cost, low power solution to cover the majority of their needs with almost no compromises. It is very cheap too, since it costs less than 144€/169$. You will be able to buy it at a lower price if you search for discount coupons that appear every now and then.